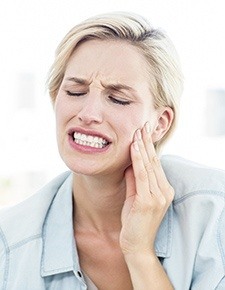 For severe tooth decay or injury that cannot be treated with a simple crown or filling, your dentist in Friendswood provides comfortable root canal therapy. 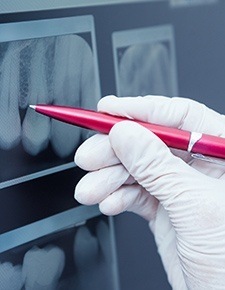 Yes, you read that right -- there is nothing to fear from a modern root canal. Also known as endodontic therapy, the treatment is often the last solution available before extraction of the tooth is necessary. Continue reading to learn more about the procedure from Dr. James Sierra at Friendswood Dental Group. A root canal is necessary when decay or infection has penetrated the tooth enamel to reach the interior of the tooth, or the “pulp.” Infections in this stage are serious, and usually cause moderate to severe discomfort. Root canal can rescue the tooth from extraction. To keep your smile intact and reduce your discomfort, schedule an appointment as soon as you realize you have an issue. If you have a tooth requiring root canal, the procedure will likely be completed in two visits to Friendswood Dental Group. Sometimes treatment can be completed in one appointment -- your treatment plan depends on the severity of the infection. After a brief healing period (if necessary), a permanent crown is attached in a separate appointment. Root canal therapy may be combined with antibiotic treatment for complete healing of the infection. If your root canal treatment is spread out over two appointments, your tooth will be fitted with a temporary crown. Be careful with this restoration -- it will not withstand excessive force, so try to avoid chewing on that side of your mouth, and don’t eat excessively crunchy, sticky, or hard foods at all. You will likely experience the side effects common with any oral procedure after your root canal. Take any prescribed pain medications as directed, and brush and floss your teeth as you normally would. 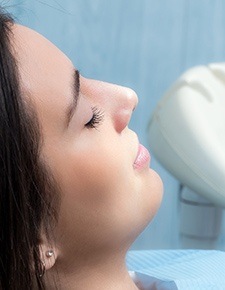 Don’t delay root canal treatment when you need it. With our experienced team and the latest in dental technology and sedation, we provide comfortable, efficient root canals at Friendswood Dental Group! We’re the dentist you are looking for when you search “dentist near me” -- so contact us to schedule your appointment today.